The first thing you should bear in mind is that an oak antique dining table is one of those furniture models that require quite a lot of space. It will look out of place in a space-limited dining room – that is an undeniable fact. Plus, you should not forget that a vintage styled dining room should have other furniture items – and they can be quite bulky as well. So, before you even start thinking over your potential design theme – take time to consider whether your facilities are suitable for the old-fashioned look. Speaking of the other furniture in your dining room, it is essential to stay in tune with the old-fashioned approach. That is, your sideboards, cabinets and the like should also be designed in an antique fashion. 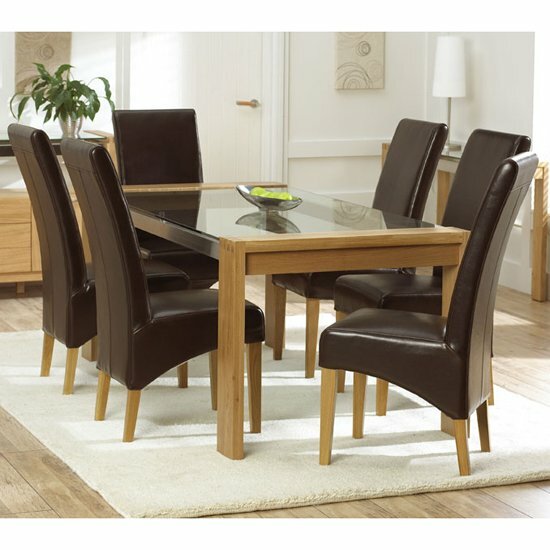 Otherwise, an oak antique dining table will look ‘alien’ in your room. So, it is very important to think over the entire dining room interior before shopping for separate furniture items. Not only matching furniture, like chairs and sideboards, is important, but also the accessories decorating your dining room. It is crucial to take every little detail into the account – starting from curtains and lamps and ending with picture frames and souvenirs you place on your shelves, sideboards, console tables, or any other furniture pieces you have in your dining room. Every little thing should be in place – meaning that the style should be consistent and homogenous. In an ideal world, not only your dining room should be consistent, but your entire home should be styled in approximately the same fashion. Let’s agree – it would be weird to walk into an antique dining room if just a second ago you were in a hi-tech living room. Finally, you should note that finding an actual oak antique dining table will not be easy – for a number of obvious reasons. And, of course, the price on antique items is skyrocketing. So, a budget reasonable solution would be to search for new furniture, designed in an antique style. This is a far more affordable option that allows you to create genuinely vintage environment in your dining room. However, few stores feature a vast selection of antique looking furniture, and it is very unlikely that small retail chains will offer you anything to your liking. So, you should not waste your time and start your search with established furniture distributing platforms instead.